ARE YOU AVERAGE OR ARE YOU A CUT ABOVE? In the trucking industry, a unique group of drivers exists, the Tanker Drivers. They take great pride in the fact that not just any driver can safely haul bulk chemicals on the interstates, highways, and city streets of our nation. As for skills, it most definitely requires an exceptional set to safely load and unload a tanker successfully. Tanker Drivers remain part of an elite group that appreciates the freedom ,while thriving on the challenges that present themselves, on the road each and every day…Are you up to the challenge? It's your MOVE! Miller Transporters, Inc. is a third-generation family-owned company that has been in business since 1942. 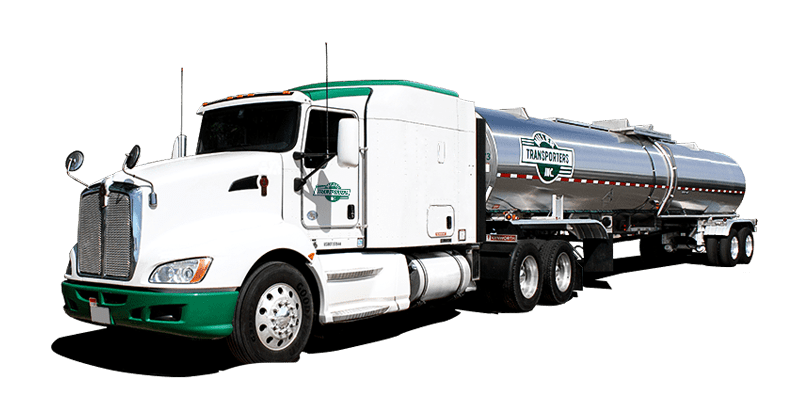 We specialize in the hauling of bulk liquid chemicals and are recognized as an industry leader in safety and service year after year. Our reputation for being one of the top carriers is a direct reflection on our drivers and their hard work. Having been a professional driver for over 20 years, it is safe to say that Charles Gaines knows a lot about the trucking industry. Charles also knows a good thing when he sees it. Living in Vicksburg, Mississippi, Charles often would see Miller Transporters trucks on the road as well as frequently run into Miller drivers. “I would pass by their trucks a lot, and I always heard good things about them from other drivers…so driving for Miller seemed like a good opportunity,” explains Charles. To this day, Charles is happy that his initial instincts about Miller were correct. There is not a day that he would trade the decision he made to make the “good move” to Miller. "Miller is a lot different from other companies. They see that I’m a Contractor, but rather than look at me as just a name or a number, they see me a partner,” says Charles. Not only does Miller look at their contractors as business partners, they also go out of their way to help them succeed. “Miller helps get you started in your business. They do everything they can to ensure that, if you’re willing to put in the work and effort, you will be successful,” adds Charles. Miller is also great about helping people who want to own their own truck realize that dream. “If you want to own a truck, you can come here and get a truck and pay for it while working with no money down. Most companies require money down,” explains Charles. “In a nutshell, if you want to become an Owner Operator, Miller is the best place to come,” exclaims Charles. Charles appreciates all of the opportunities that his career at Miller Transporters has afforded him over the years, and he looks forward to many more. “I LOVE this company! I’m not going anywhere. I will be here forever,” says Charles. It is quite rare for someone to work for the same company for ten, or even twenty years. Working for the same company for as many as Willie has is even less common. It takes a dedicated, driven individual to accomplish such a feat. For Miller Transporters Company Driver Willie Hill, it’s a simple explanation as to why he’s remained with Miller since 1983. “When you work for a good company, you don’t want to leave. They have been good to me. Almost my whole career has been with Miller,” explains Willie. The day that Willie first drove a Miller truck was the day that his childhood dream had finally come true. Growing up, he would visit his Aunt who lived down the street from a Miller terminal. Whenever he would pass by it, he would dream about one day having a career as a truck driver for Miller. “I didn’t have much experience when I first came to Miller looking for a job, but they were willing to give me a chance. 28 years later, I can’t tell you how grateful I am that they gave me that chance,” says Willie. Though when he first started with Miller, Willie liked to be home more often to spend time with his then-young children, he now enjoys spending most of his time behind the wheel. “I really enjoy working out on the road. It’s the right fit for me. There’s good equipment, and most importantly, most of the shippers are nice and respectful, which I feel has a lot to do with the Miller name. The Miller name has a great reputation in the industry and I’m proud to drive for them,” explains Willie. Not only does he love the driving part of his job, but he also loves the people at Miller that he gets to work with. “The people here have been great to me from day one! I can’t believe that any other company has people that are as outstanding as the ones I get to work with at Miller,” says Willie. Even when there were some personnel changes within the company (which is to be expected over an almost 30-year span), Willie remained just as happy and impressed with Miller. “Any changes that we’ve been through with people have all been good. In my opinion, the way you define a good company is by the way that their staff treats its employees…even when changes take place,” adds Willie.